I have been meaning to get this page up for a while. I was waiting to do it all at one time but think if I do that, it may never get done. So I am going to start and add things as I can. 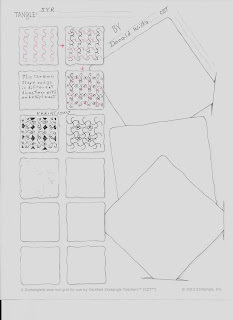 These are all patterns that I deconstructed or created. I do not know that I will necessarily post them in chronological order. If you use any of them, I would like a link where I could see what you did. This first one is the first one that I did do. I did this before I attended my CZT training. I did submit it to Tangle Patterns but it did not make the cut. Not sure why as I never got an explanation. It may be that it was viewed as being too close to Echoism. At the time I did not know that one existed. Here is the step out for it. There are probably limitless variations/embellishments for this. I named it Whee because it made me think of going down a curly slide. I hope you enjoy this. If you try it let me know so I can see how you use it. * I found out after posting this that someone had come up with a similar tangle earlier. It had never been posted on line, but was included in Kass Hall's Zentangle Untangled. She named it Frippery. Our step out deconstruction is quite different but the end result is similar. I cannot give you a link as when I had contact with her, she had indicated that she had not posted it on her blog. It is available by viewing the book or googling Frippery and following the links. Here is a tile where I used this tangle. It was for a recent Diva Challenge. This one I did while at my CZT training and posted it on my blog shortly after that in November 2012. I called it Rugz but when Genvieve Crabbe saw it, and posted in her Weekly Round Up, she called it Carpet, which is what I had on the top of my journal page. I did not post it any where else and a year later someone else deconstructed the same pattern on the carpet in the Hotel Providence and Tangle Patterns posted it as Carp 3. There are a few differences but they are both based on the same carpet pattern. Even though Carp 3 was posted on Tangle Patterns, I still consider it one I did as mine was posted on the Weekly Round Up a year before Carp 3 was posted. Guess I missed my "claim to fame" to get a tangle posted on Tangle Patterns. It is also very likely that someone else deconstructed this as CZT 10 was not the first one at the hotel. Have not seen it though. If so, it points out the difficulty in really "claiming" patterns since so many have been around for years. If someone else has also deconstructed this from the hotel, I would be interested in hearing from you so I can also credit you with this tangle. I like that Rick and Maria did this with Schway. Here is a stone tile I used the pattern on. It is a 4x4 stone tile with a cork backing. This next one is kind of intense. I do not remember exactly what the inspiration was. I think I was just experimenting with what you could do with a grid. 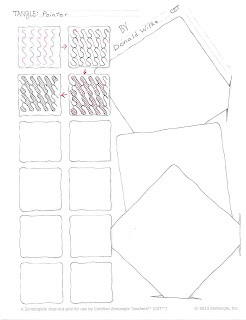 When I doodled in the margins of my notepads during meetings, I use to do a lot of grid type things. I came up with this and did not see it posted anywhere before. I named it Fearcles because the shapes reminded me of feathers and circles. I have used this as fill in a couple of tiles and zendalas. I think it looks nicer in white on black. Here are a few examples of how I used it. The last one, I entered in an art show and received an Honorable Mention on. The one below is an example of where I used it very simply by just filling a square. Here it was a nice embellishment. This next one was done very close in time to Fearcles. Again, it was not a pattern I saw and deconstructed. I was experimenting with what I could do using basic strokes. This one is a combination of arches and straight lines. I called it Exed. There are probably some variations that could do by using fewer exes. You can also change the way it looks by what you decide to fill. I have used it in a variety of ways. Here are a few examples of using it. Not exactly sure where this one originated. I think I was just speculating about something that could be used as a border or string. My sister did an alternative step out of this pattern. She did the inside shapes first and then did the aura. Is really an issue of what you are more comfortable with doing. This is the zendala shown above. I used Tierso in this also. These are two travel mug inserts that I used Tierso as a string. This tangle was one that I deconstructed from a pattern that I saw in a store while I was shopping. thought it would be a good pattern for fill or as a background. The name came with the help of a random word generator. Will have to check my photos to find some other examples of where I used this tangle. Found this one where I just used one thumbnail of it. Will post it when I find something else. This tangle came about from two areas. 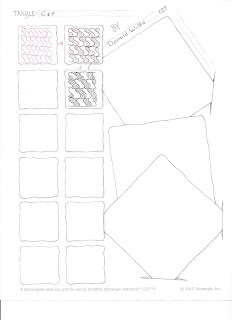 One it did come out about the time that the grid seed blog was done on zentangle.com. Probably it resulted more from a pattern that I was trying to deconstruct from memory. I thought I had it but when I looked back at a picture I had taken, I realized I had changed it quite a bit. Thus a new tangle was born. It got it's name as when I used it in a tile someone mentioned that it reminded them of an Italian floor tile. I lived near a small town and graduated from a school named Genoa. It was not pronounced like the Italian city but it still worked. Thus that is its name. 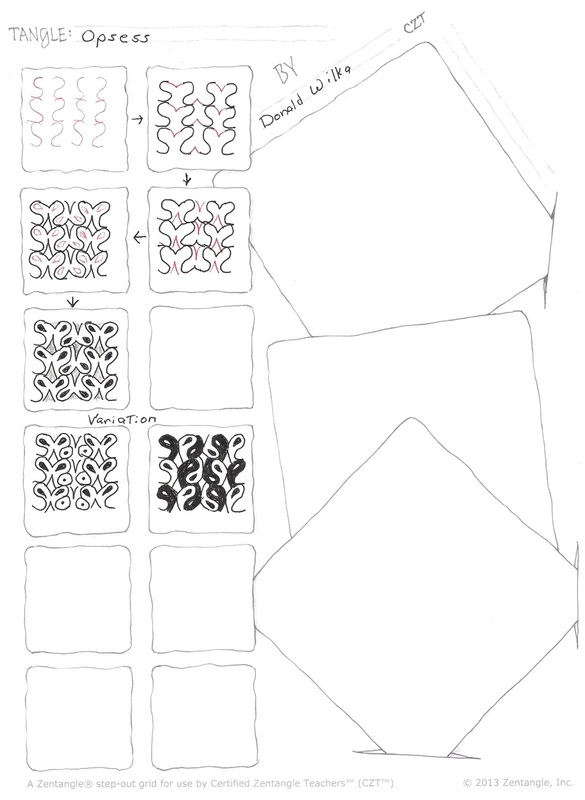 Here is a tile where I did a couple of different variations of the tangle. This tangle came about as a grid seed. I forget how long ago this was in the Zentangle® newsletter or blog. I do not have a picture of the object that inspired it, but it was a coffee mug of a friend. It is pretty simple but like most grids, you have to leave room for what you are going to do on the inside. I could not find a tile or ZIA where I used this. Will post when I find something. Have not developed step outs for most of these. Have not given them names and some I would consider to patterns as opposed to tangles. Here is the page from my journal. Most are simple enough that can figure out how to do them with out a step out. Finally getting around to getting this posted. I did this a couple of months ago. I am trying to keep them in order that I came up with them, That is the reason for the unfinished ones above. Hopefully I will get to them soon. First, this is what this was all based on. It is an ad that I saw. I named it Basquals as it is based on a basic square and lines. Here is the step out. 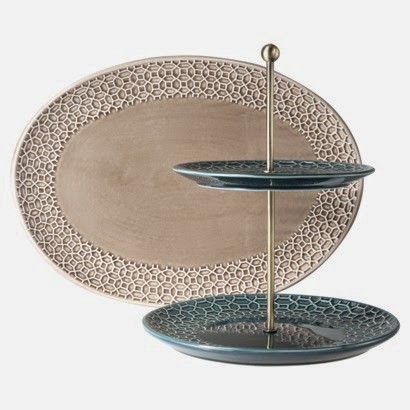 I see the pattern on the plate as a basic structure that can be taken in a lot of different directions, much lilke Bales or Cadent. The really fun part was playing with different ways that I could finish this off. I am sure that I did not come up with everything. Here are the ways that I came up with at the time. I have not revisited it for awhile and may see what else I can come up with later. One question I have is are these tangleations or new tangles? What is the criteria for deciding? I don't have the answer, just posing the question. I have used this basic one on a couple of things but not anything I have pictures. I will post a tile using it later. This is the newest tangle that come out of my S-Ploration. I know I have not posted those, but that is mainly because I have not decided which are tangles. For Some I have not even thought of names. That is harder sometimes than deconstructing a pattern or creating a step out. Here is the step out and a picture of a tile where I used it. Would really be interested in seeing anything that you do with this. This is a pattern that was in the S-Ploration post that I did over a year ago. Most of them I did not do step outs for at the time. Finally had a chance to get around to it. These are really simple and can be figured out without the step outs. Naming something is usually one of the harder things. This tangle reminds me of iron or wire work. To say the tangle, you just pronounce the letters (ess-why-er). Hope you have fun with this. Here is a picture of using the tangle in a demonstration I was doing. Not sure that I have it in a tile. This is another tangle that came out of the "S-Ploration" posted above. 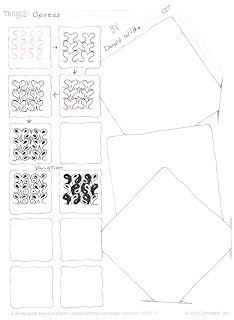 It developed as I took one of the basic strokes in the Zentangle® method. I called it Pointer as it reminded me of the pointer finger on my hand. It is a simple stroke tangle and one that I like to use when I am looking for focus as I do not have to check back to look what needs to be done next. A lot of variations can be done in the alternating sections. I just used a simple line. This is another one that comes out of the "S-Ploration" exercise. It is one of the few that I actually did a step out for. A stepout is almost not necessary as you can easily see how this is done. I honestly do not remember how I came up with the name for this. 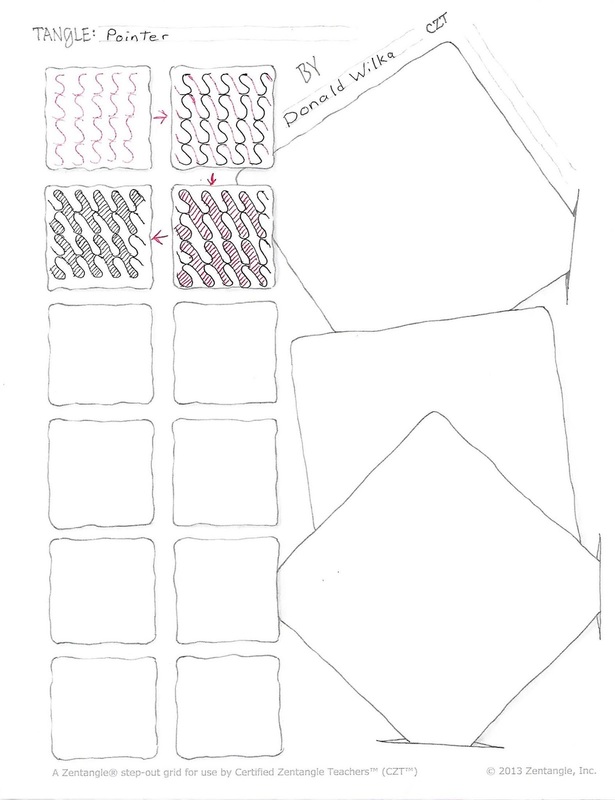 Again, for the stepout, I just chose a simple line to fill in the alternating spaces. Like the one above you can really be creative on how you fill this in. 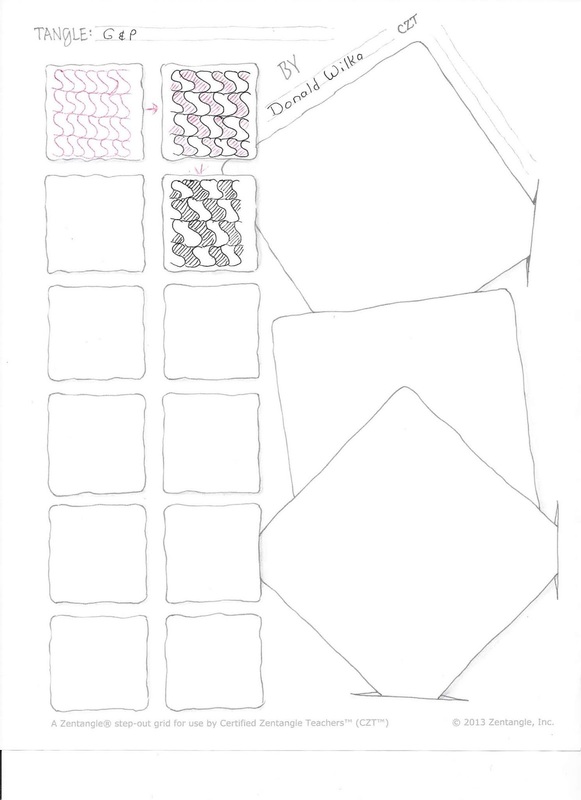 Think this would work both to fill a space as well as be modified as a border tangle. I do not have a tile available to upload that illustrates using this. If I do find one or do another, will add it later. I struggled a little as to whether to include the step out for this here, even though I had mentioned it earlier in the post for Opsess. 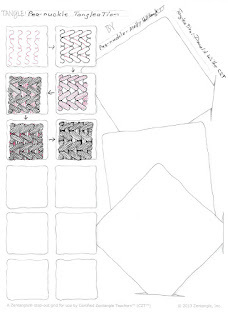 The struggle is that it is not really my tangle but a tangleation of one developed by Zentangle® headquarters. I did send this to Molly earlier and she agreed that it was a tangleation, and at the time indicated that it was not one that she had seen before. To see an example of it in a tile, scroll up to the step out for Opsess above. Thank you. I am glad you liked my blog. Feel free to visit often. I love Fearcles and Genoa :) I will probably try them out soon. Although I am a very new tangler, I already came up with a tangle or two of my own, but I decided to start out learning as many tangles I could find online before 'going public' with it ;) This is just in case I accidentally claim someone else's work :P Which is highly possible, being the newbie I am. I realised I somehow deleted a paragraph without knowing XD I was meaning to say that everything is 'borrowed' in some way, and then reinterpreted into fresh iterations that are still 'original' in their own right. I feel that is what true appreciation of art should be like - not about who came up with it first, but appreciating the various interpretations made by others, and the beauty of it all. P.S I wish I could attend your classes! Haha .. I note on the CZT page that there are two Singapore based CZTs, but I failed to find their website. I guess I will try to email them directly eventually. Fearcles is a crochet doily motif ! Ha! I crochet too! I relly like your "S - PLORATIONS". I would love to see the step-out of the tangleation of pea-nuckle that you did on the opsess tile. If you've already posted it on your site somewhere (that I haven't found yet), please just post the link. Thanks! I posted the Pea-nuckle tangleation about a week after the Opsess step out. Here is the link http://tanglesandmore.blogspot.com/2015/06/zentangle-zia-pea-nuckle-tangleation.html .